Guests included Archpriest Fr. Ashod Kambourian, Honorary Consul of the Republic of Armenia in Las Vegas Adroushan Armenian, ARF Central Committee Representative Dr. Carmen Ohanian, ARS Javakhk Fund Central Committee member and regional liaison Harout Manoukian, ARS Regional Executive Chairperson Rebecca Berberian, Vice-Chairperson Aida Babayan-Alrayes and members Maro Papazian and Carmen Libaridian, former ARS Javakhk Fund Committee Chairperson and long-time supporter Haigoush Kohler, representatives of sister organizations, sponsors, donors, ARS members and supporters. 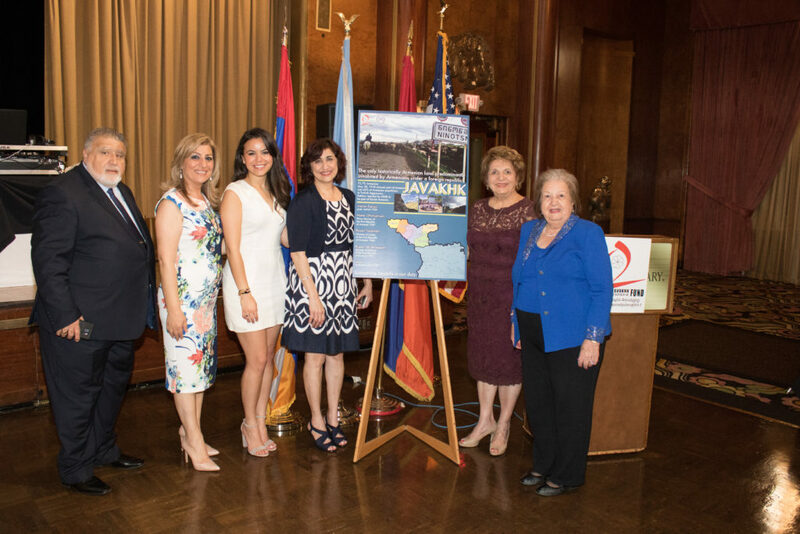 ARS Javakhk Fund Committee Member Carnie Armenian carried out the role of Master of Ceremonies and accounted her personal experience through visits to Javakhk and her passion and affinity toward the region, people, and culture. 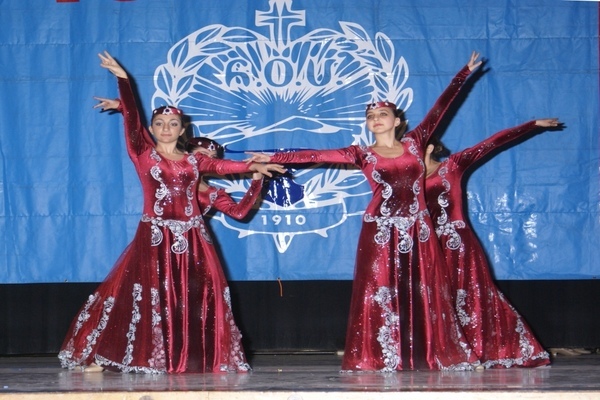 She recounted famous Javakhk-born Armenians including Hamo Ohanjanyan, Vahan Derian, Rupen Tarpinian, and Jivani, depicted the thriving spirit of Armenian youth living in the region, and conveyed their will and tenacity in learning the Armenian language, history, and cultural preservation. Archpriest Fr. Ashod Kambourian conveyed blessings on behalf of His Eminence Archbishop Moushegh Mardirossian and commended the active work and commitment of the ARS Javakhk Fund Committee, whose aim is to advance the welfare of Armenians in Javakhk. Thereafter, guests had the opportunity to view a 15-min. long video detailing the socio-political and economic challenges faced by Armenians in the region, the history of the ARS Javakhk Fund Committee, and its wide array of programs and activities, including outreach, education, awareness, fundraising, and the provision of aid to Javakhk. ARS Javakhk Fund Committee Chairperson Lena Bozoyan delivered remarks on behalf of the Committee and stated, “Once again this year, we are gathered to share in the activities of the ARS Javakhk Fund Committee, focus on the trials and tribulations faced by Armenians in Javakhk, and collectively support social, health, cultural, and youth-oriented projects in Javakhk.” Bozoyan detailed the hardships that are resulting in emigration from the region and the strict imposition of requiring the use of the Georgian language over the Armenian language. She gave reference to the committee’s future plans, including the importance of establishing youth centers in other areas of Javakhk, including the Poka village. Thereafter, she highlighted the fact that the event date coincided with the first anniversary of the Four-Day War in Artsakh and paid tribute to the ultimate sacrifice made by fallen Armenian servicemen. Bozoyan concluded her remarks by extending the Committee’s appreciation to the ARS Regional Executive Board, the Committee’s liaison Aida Babayan-Alrayes, regional office staff, and a number of individuals, including John Kossakian, Raffi and Hilda Santikian, and Vehik Gabrielian, who bring their instrumental support to the ARS Javakhk Fund. 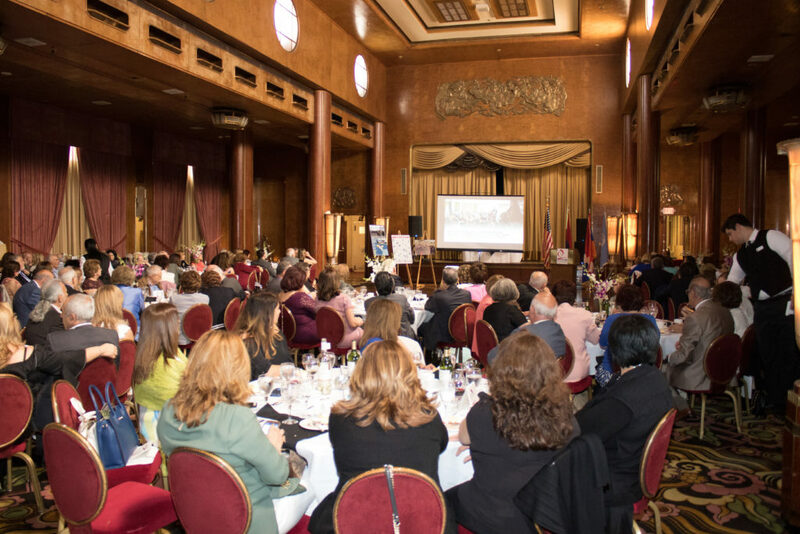 Following her remarks, guests viewed a second video presentation in which Armenian youth from Javakhk recite letters to servicemen in Artsakh. This presentation served as a memorial to every Armenian serviceman, who lost their life defending Artsakh and its people during the Four-Day War in April 2016. During the event, ARS Javakhk Fund Committee members Harout Madenian and Emma Salmassian were honored for their vital role in the committee. 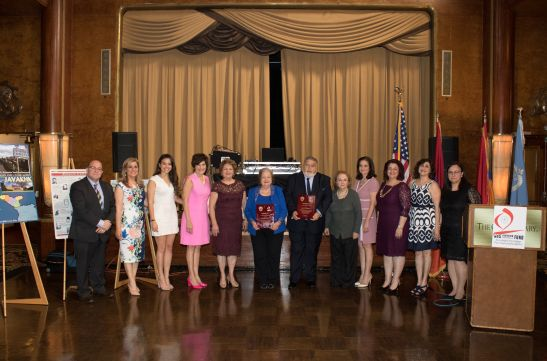 Both honorees were invited to receive a special plaque of recognition by ARS Regional Executive Chairperson Rebecca Berberian and Committee Chairperson Lena Bozoyan. Madenian and Salmassian both conveyed their appreciation for the honor bestowed upon them. Aida Babayan-Alrayes, Vice-Chairperson of the ARS Regional Executive, delivered the Board’s message to attendees. She affirmed that Javakhk is an integral part of Armenia and commended the tireless efforts of the ARS Javakhk Fund Committee, whose members have persistent faith in the historical and strategic importance of Javakhk and work to implement humanitarian programs to ensure the perseverance of Armenians in the region. She congratulated honorees Harout Madenian and Emma Salmassian and also paid special heed to the fact that April 2, 2017 served as the first anniversary of the Four-Day War in Artsakh. 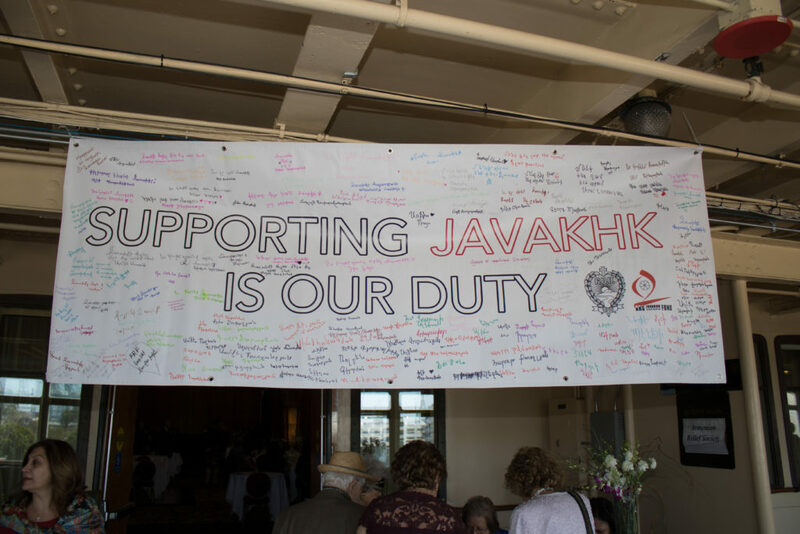 Following the official program, well-known singer Hovhannes Shahbazyan entertained guests, who left the venue with renewed faith that “Supporting Javakhk is Our Duty.” The Committee extends its sincere appreciation to each individual and guest, who demonstrated their generosity by making donations to the ARS Javakhk Fund, during the event.